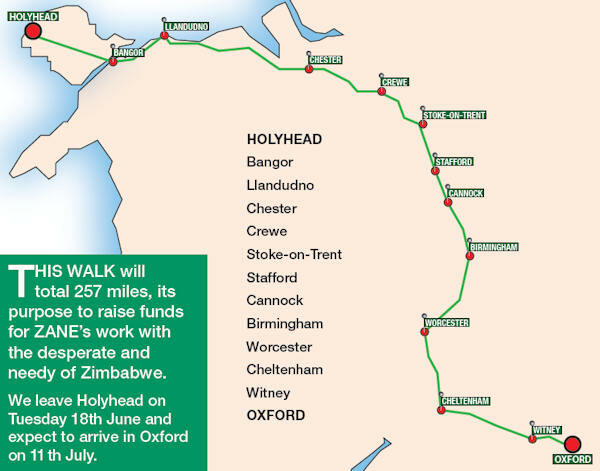 The walk starts in Holyhead on Tuesday 14th June and finishes in Oxford on Thursday 11th July. Minor roads & footpaths where possible to avoid heavy traffic but to allow the support vehicle to follow. You can download a pdf giving the details of the route by clicking here. Please note that you will need this if you wish to walk with Tom at any point.